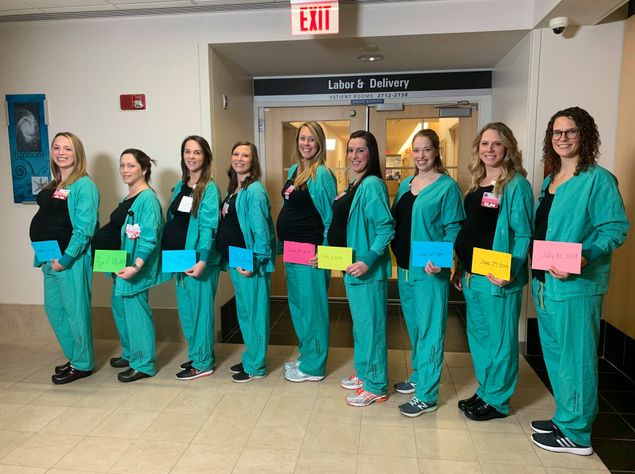 Nine circle of nurses working on the same maternity ward in Maine Medical Center in Portland are all pregnant and due to give birth at around the same time. They are all set to give birth within three months of each other. "How's this for a baby boom? Nine of our nurses are expecting babies between April and July! Congratulations!," The Maine Medical Center posted on Facebook. The hospital has reassured everyone about the concern of shortage in staff, "Don't worry! We Have a plan!"